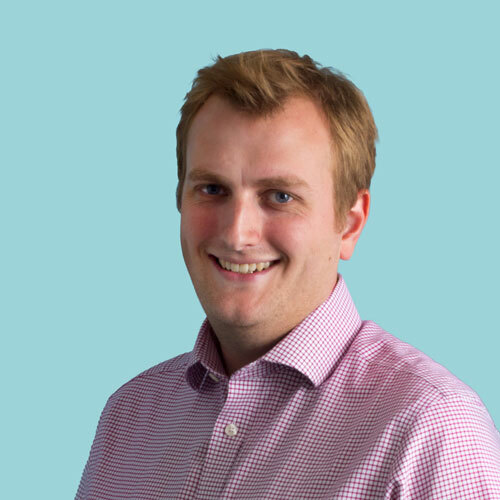 Nick Jackson explores the significance and implications for business of SDG number 8: Promote sustained, inclusive and sustainable economic growth, full and productive employment, and decent work for all. The Millennium Development Goals didn’t specifically call out the need for economic growth and jobs to alleviate poverty. This makes the introduction of SDG8 a welcome move. It’s also indicative of the move away from aid towards trade, growth, jobs and the self-sufficiency and dignity of individuals, communities, and nations. What’s more, the call for the creation of decent jobs and sustainable economic growth is a clear opportunity for businesses to demonstrate their role in sustainable development. 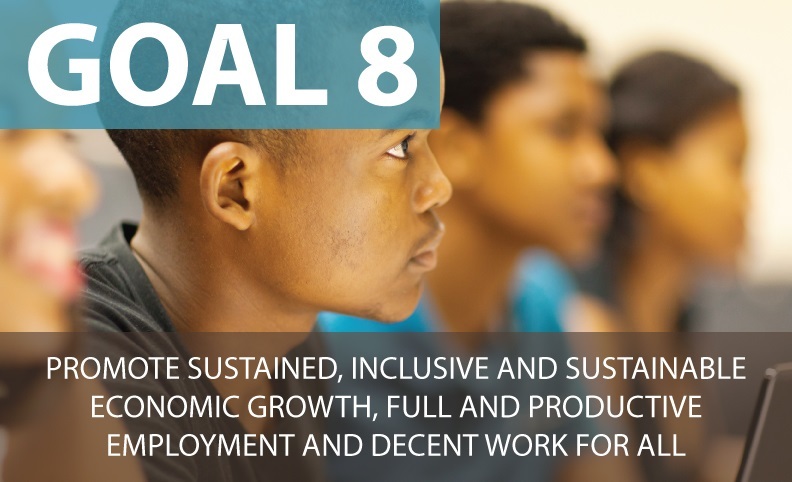 With youth unemployment, and mass underemployment in the post-industrialised world, SDG8 is a clear example of the universality of the SDGs, rather than having a developing world-only focus. It is also a reflection of the post-recession risk of growth and recovery without jobs: ILO figures put total unemployment at 202 million people, rising to 215 million jobseekers by 2018. Sustained economic growth: continuous spells of economic growth. Inclusive economic growth: equitable economic growth, where the benefits are felt by all groups in society. Sustainable economic growth: sustainable drivers of economic growth, for example consumer spending rising in line with pay rather than being fuelled by excess borrowing, or the sustainable use of natural resources to protect future generations’ ability to also use them. Full employment: a level of employment where the economy is operating at its full economic potential. Productive employment: employment that generates sufficient wages and other benefits for the worker so as to be able to provide a level of consumption above the poverty line for themselves and their dependents. Decent work for all: work that respects fundamental human rights and worker rights in relation to health, safety and remuneration. Sustain 7% per annum GDP growth in the least-developed countries. Boost productivity of economies through diversification, technological upgrading and innovation. Encourage formalization and growth of micro-, small- and medium-sized enterprises including through access to financial services. Endeavour to decouple economic growth from environmental degradation. Achieve full and productive employment and decent work for all women and men, including for young people and persons with disabilities, and equal pay for work of equal value by 2030. Substantially reduce the proportion of youth not in employment, education or training by 2020. Secure the prohibition and elimination of the worst forms of child labour, eradicate forced labour, and by 2025 end child labour in all its forms including recruitment and use of child soldiers. Barclays’ Banking on Change programme aims to tackle financial exclusion amongst the world’s poorest by linking informal savings groups to formal financial services. This savings-led micro-finance initiative not only allows people to save money, but also earn interest and gain access to small business loans – a catalyst for job creation and entrepreneurship. Unilever’s Project Shakti sees 70,000 rural women entrepreneurs distribute products across 165,000 Indian villages, reaching 4 million households and expanding Unilever’s reach to bottom of the pyramid consumers. Google’s Project Loon, which seeks to bring broadband internet to all, is an example of a company using its innovative capabilities to improve access to its core offering whilst also boosting the productive potential of the societies that will benefit. Achieving equal pay for work of equal value has been on the agenda for a long time. A renewed focus will see an increase in companies reviewing and reporting on their gender pay gaps, not least due to new legislation mandating they do so. Tesco and PwC are two notable exceptions that already do this. In some countries, almost a quarter of 15-29 year olds are neither in employment, education or training. Companies can help boost this element of SDG8 through their training programmes, apprenticeships, and structuring projects so as to ensure they have a lasting legacy of skills and knowledge transfer. IBM’s P-TECH model of education connects high schools, colleges and industry to develop future talent ready for the future job market is one such example. Eradicating child and forced labour is a business and humanitarian imperative. This calls for strict supplier codes of conduct that go right through all tiers of the supply chain. And importantly, their application needs to be monitored, audited, and plans of action for improvement need to be put in place. A word of warning, however. Businesses are not the sole actors at play here. The role of governments and local actors cannot be emphasised enough if these goals are to be achieved. The examples above are exceptions rather than the rule. Co-ordination, co-operation, and sometimes a big nudge from governments and NGOs will be needed to get the business community to be the full force it can and needs to be in order for SDG8 to be achieved. Governments also need to look to move the goal posts of economic measurement to reflect the need for decent productive employment, rather than just employment, and inclusive, sustainable, economic growth, rather than growth at all costs.